Do All of May's PlayStation 3 Exclusives Have the Same Cover? 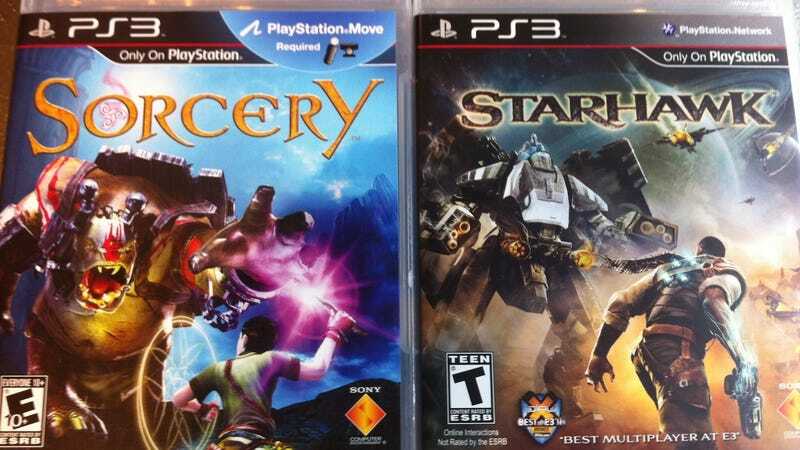 I just got copies of May PlayStation 3 exclusives Sorcery and Starhawk. Can we agree that maybe the PS3 boxart czar needs to mix up his/her concepts a little more?